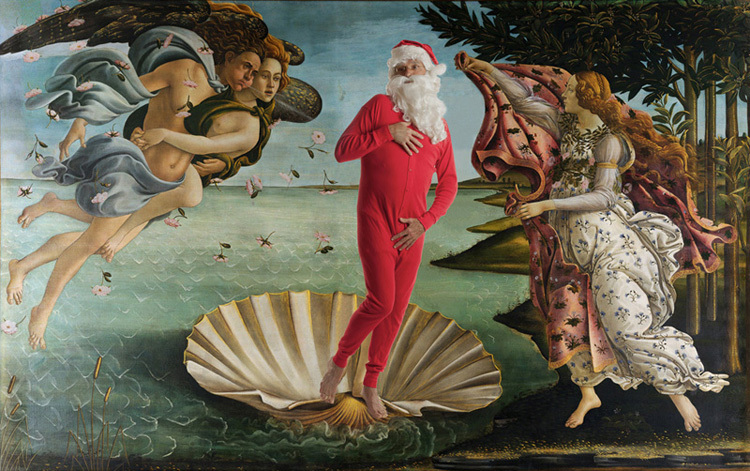 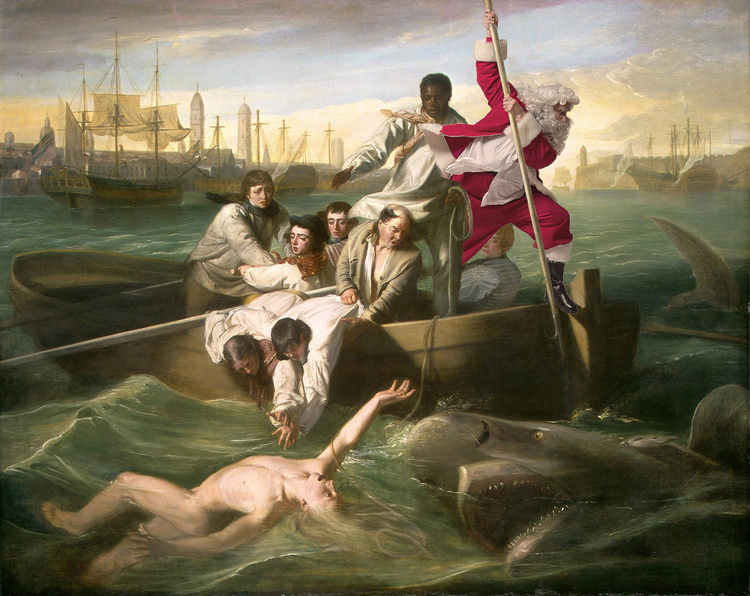 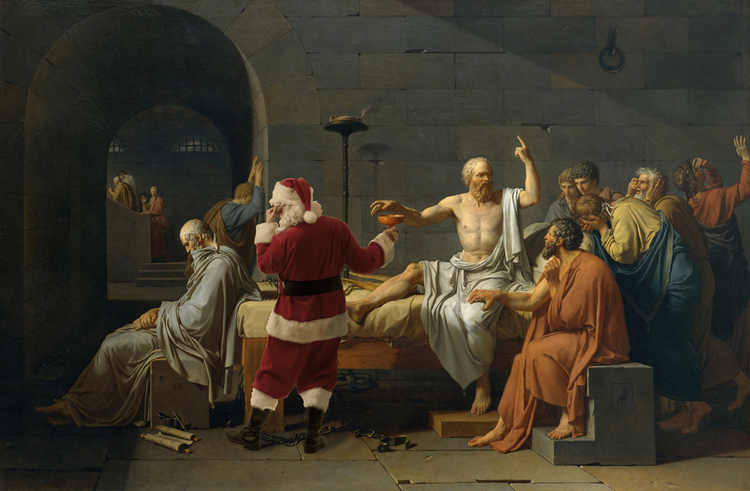 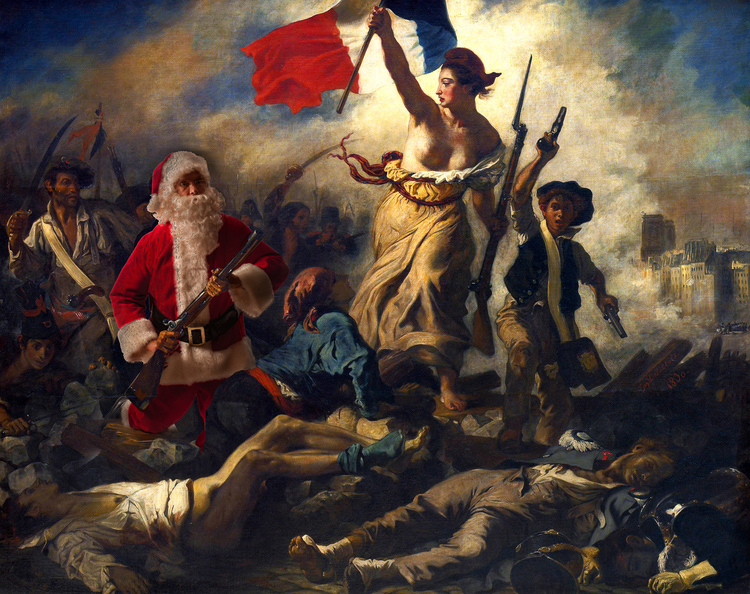 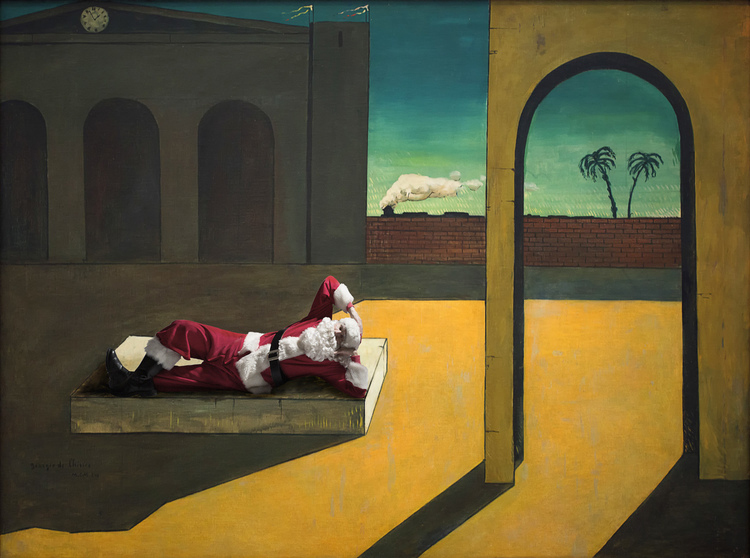 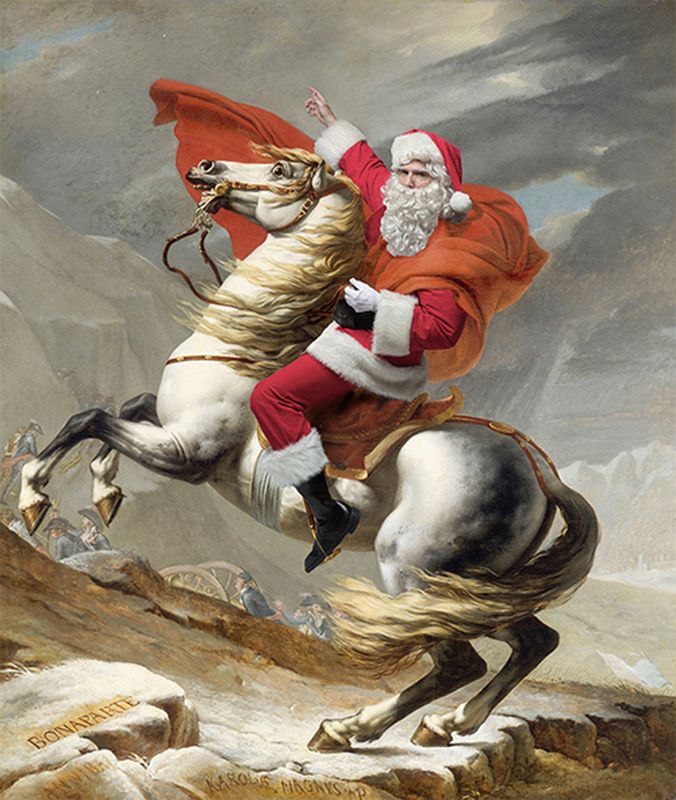 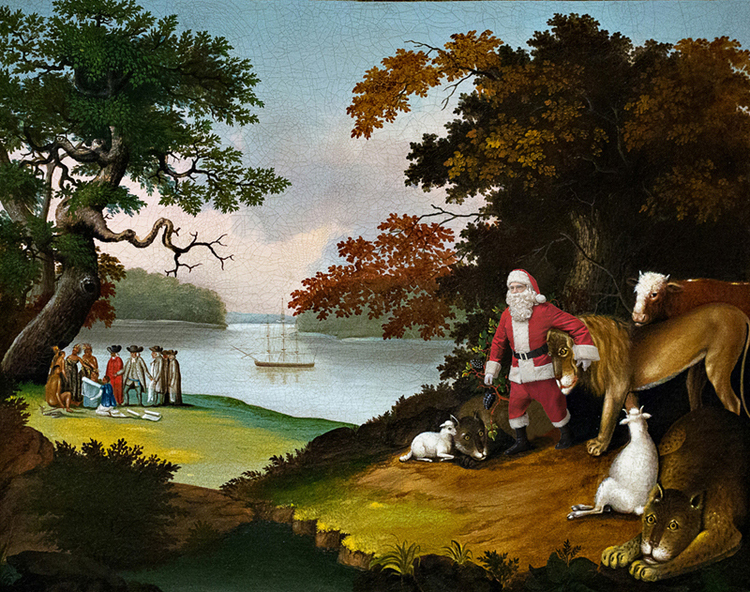 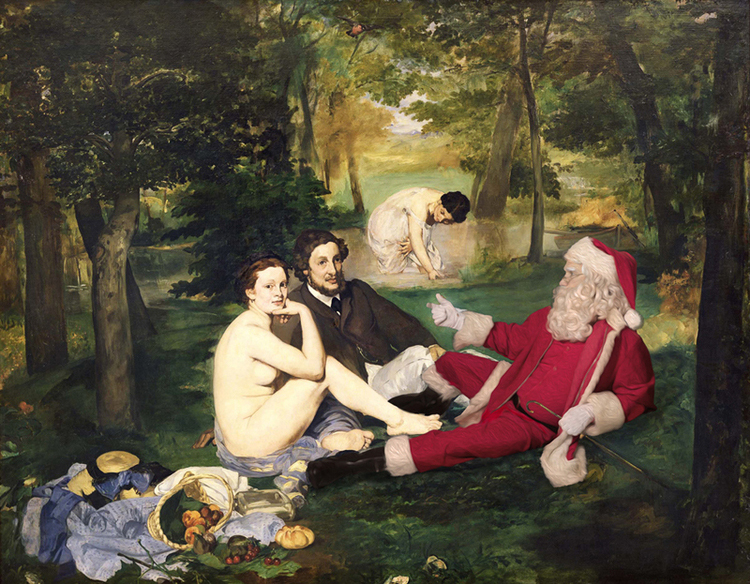 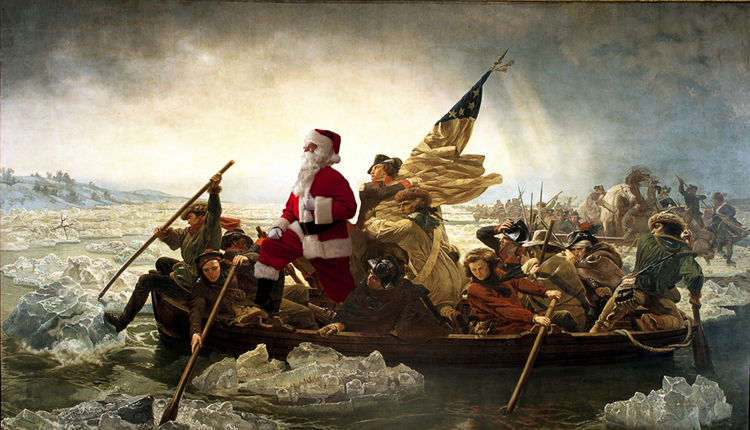 Wheeler has researched hundreds of paintings and finds that certain compositions beckon to him for a “Santa intervention.” Often Santa replaces a main figure in a painting; sometimes he is added to a group composition or may even be the single human presence in a landscape. 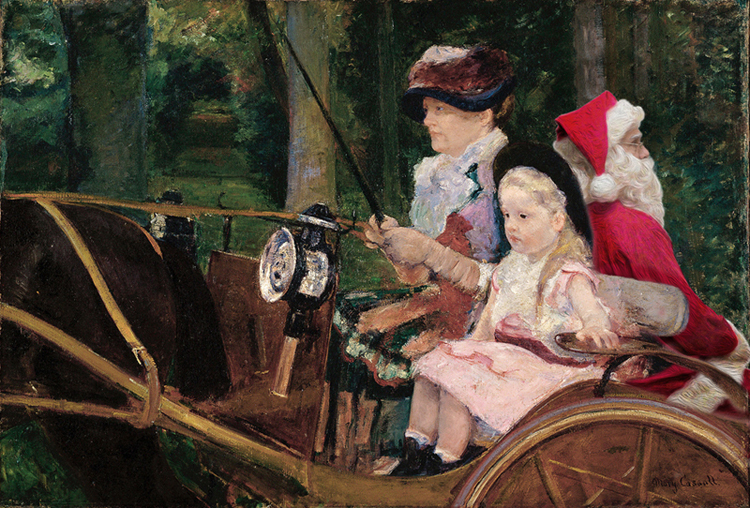 Wheeler’s intent is to pay homage to the original paintings while offering art lovers an additional reason to smile. 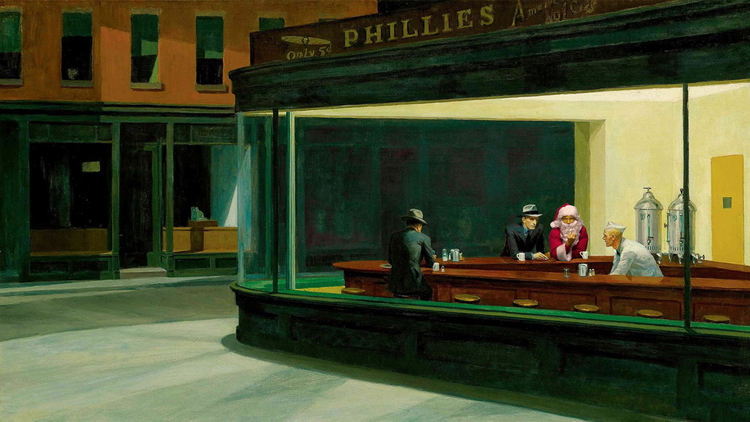 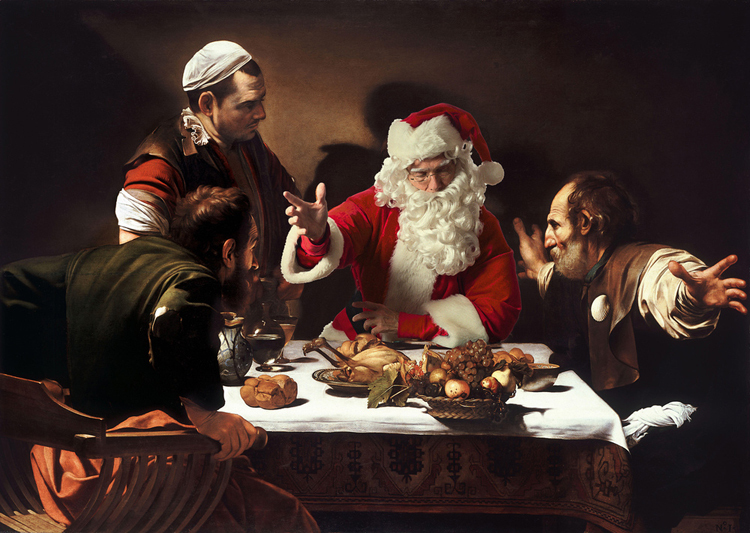 Once a painting is selected, Wheeler embarks on a multi-step process to fully integrate Santa into the lighting, brushstrokes and tonal values of a particular painting. 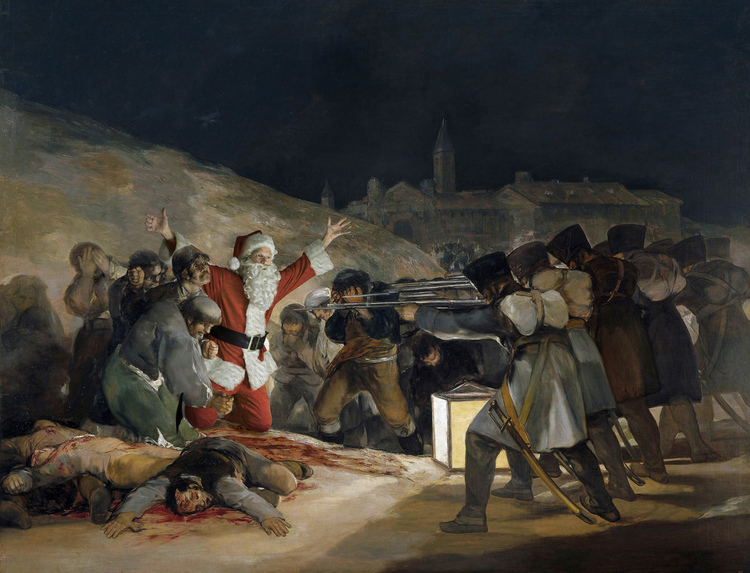 The lighting in the studio must match that of the original artwork: this is critical to maintaining the fidelity of the original. 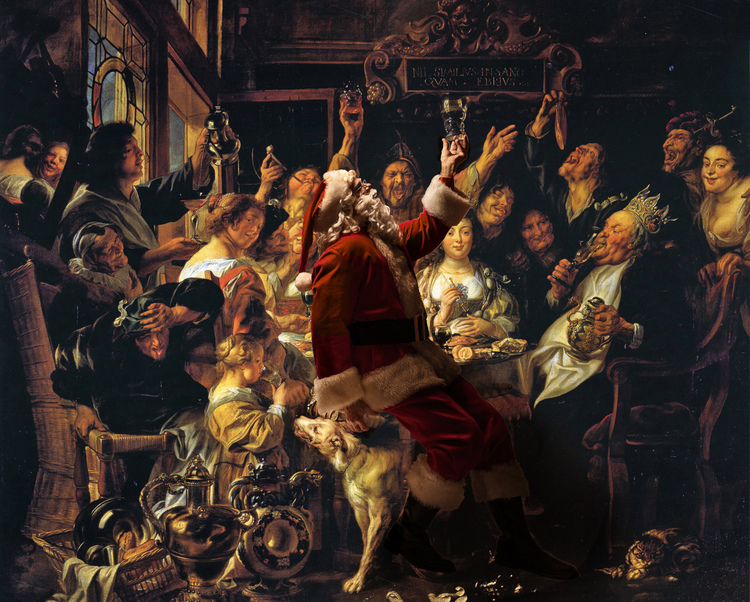 Wheeler’s meticulous attention to detail, lighting and relationships between figures lead to another kind of art experience.